Ursuline Sister Ruth Durick elected as President of Catholic Religious Australia. 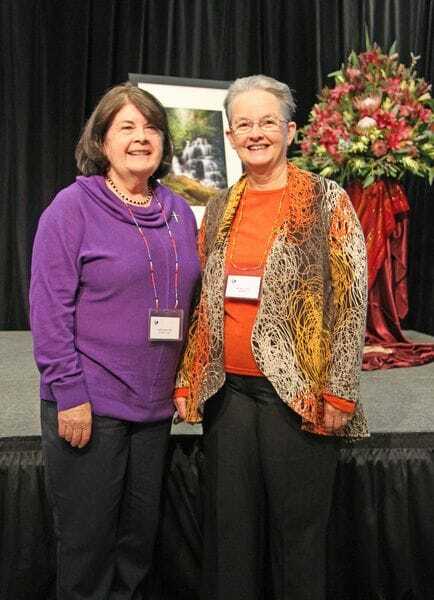 Home > Blog > Ursuline Sister Ruth Durick elected as President of Catholic Religious Australia. The current Australian Provincial of the Ursulines of the Roman Union, Ruth Durick osu has been elected as the new President of Catholic Religious Australia (CRA). Sr Ruth was elected President at the recent National Assembly for CRA, held in the Blue Mountains, west of Sydney. She has ministered across a number of schools in New South Wales and Queensland including O'Connor Catholic College in Armidale which has a dual charism with the De La Salle Brothers. Sr Ruth has also worked as Co-ordinator of the Young Catholic Women's Interfaith Fellowship programme, a project of the Office for the Participation of Women in the Catholic Church. She has been on the Executive Committee of the Conference of Leaders of Religious Institutes in NSW for three years and the CRA Council for two years. Upon her election, Sr Ruth acknowledged the hard work of her predecessors. "I am aware of and grateful to those women and men religious who have come before me and who have served on the CRA Council," she said. "I am also heartened by the words of Pope Francis who spoke of the distinctive sign of consecrated life being prophecy, calling us to 'scrutinise the times' in which we live and to interpret events. Pope Francis also called us to 'create alternate spaces' where the gospel can thrive." "It is an exciting time to be a consecrated religious in the Church." Sr Ruth takes over the role from Mercy Sister Berneice Loch who was confident that Sr Ruth has a good understanding of the issues being addressed by CRA. "Ruth has made a valuable contribution particularly in her role as Treasurer for CRA," said Sr Berneice. "These are not easy times for those in Church leadership at any level. CRA is indeed fortunate in having Ruth prepared to undertake its leadership for the next two years." "I know she will have the support of CRA Members. I also want to assure her of my support and wish her every blessing in this role." Sr Ruth will be supported by fellow members of the Council for Catholic Religious Australia including the Provincial of the De La Salle Brothers, Brother Visitor David Hawke fsc.